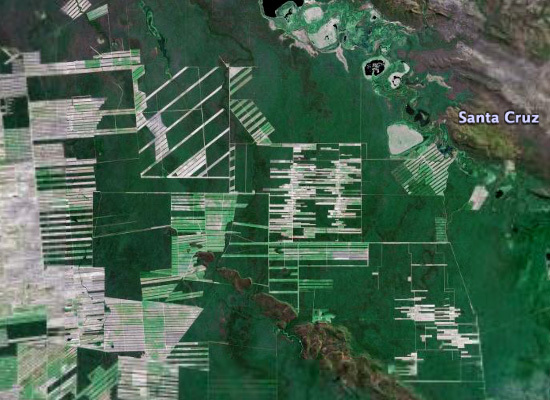 The deforestation of Bolivia's tropical dry forest continues apace as the above false-color image shows. And no, it isn't the aftermath of some boozy rampage by Michael Heizer and some rogue scientists from Dugway Proving Ground. 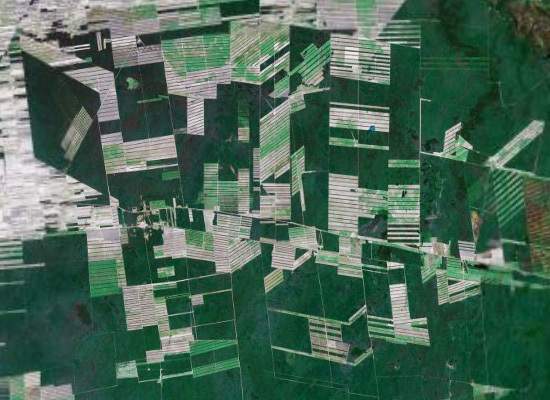 These Suprematist geometries are actually the physical results of a massive agricultural development program and the resulting intensive resettlement of people from the Andean highlands to the Santa Cruz lowlands. 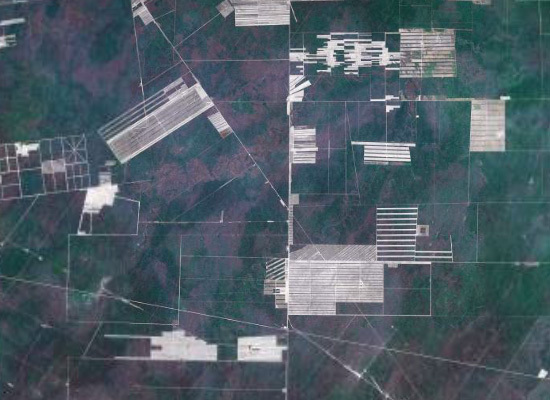 If you'd like to go on a scopic drive through the Tierras Bajas, download this placemark from the Google Earth Community and then fire up Google Earth. Be sure to inspect the rather fascinating radial patterned fields. 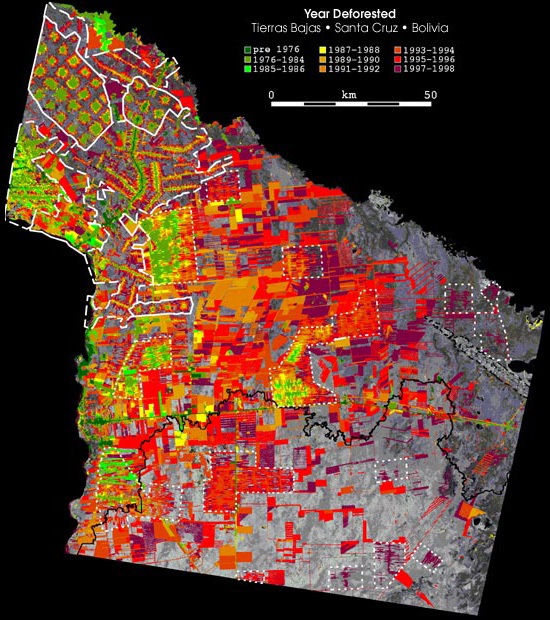 Visible Earth tells us that “[a]t the center of each unit is a small community including a church, bar/cafe, school, and soccer field-the essentials of life in rural Bolivia.” Which sounds or rather looks like a bastardization of the Green City movement. 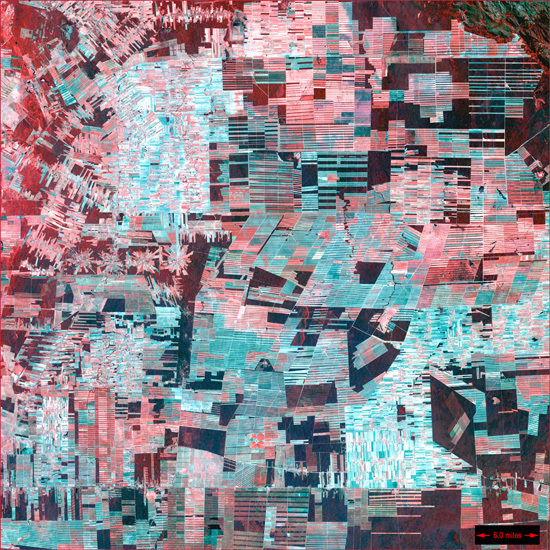 As always, then, there is jarring contrast between the messy lived experience on the ground and the hypnotic beauty of satellite imagery. According to the United Nations, as of October 2005, 100 families control over 25 million hectares of land in Bolivia while 2 million campesino (farmer/peasant) families have, combined, access to 5 million hectares of land. In other words, the wealthiest 100 landowners possess five times more land then 2 million small landowners. In Bolivia it is impossible to talk about land without talking about the agrarian reform from 1952, the motto at that time was "the land is for the one that works it". 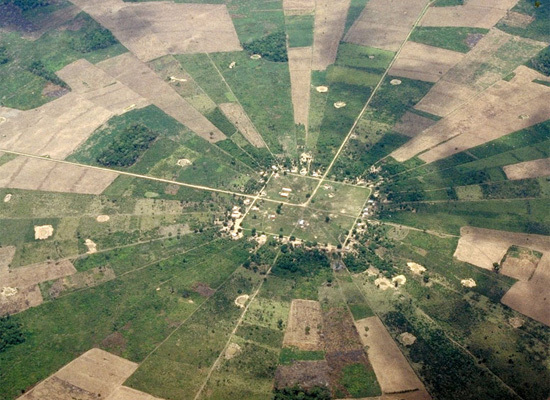 After 52 years of agrarian reform, Bolivian agriculture is divided into two distinct tendencies: enormous latifundios (estates), vast territories in which only a small part is used for productive agriculture, and hundreds of thousands of tiny, over cultivated properties owned by indigenous and/or campesino farmers. 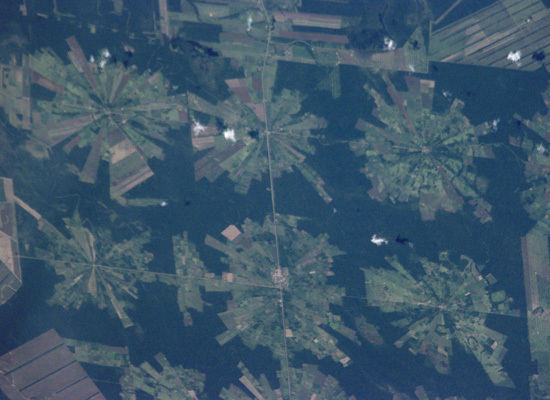 Despite the fact that campesino farmers occupy a much smaller portion of land, they have higher agricultural productivity and supply more food to the local economy then the latifundios, which overwhelmingly cultivate plantation-style agriculture – vast expanses of a single crop such as soya, sugar, rice or cotton destined for export and dependant on the usage of large quantities of pesticides and fertilizers. So how is it that after a peasant revolution in 1952 and more then fifty years of agrarian reform, today the average campesino from the west or center of the country has less land then they started with?